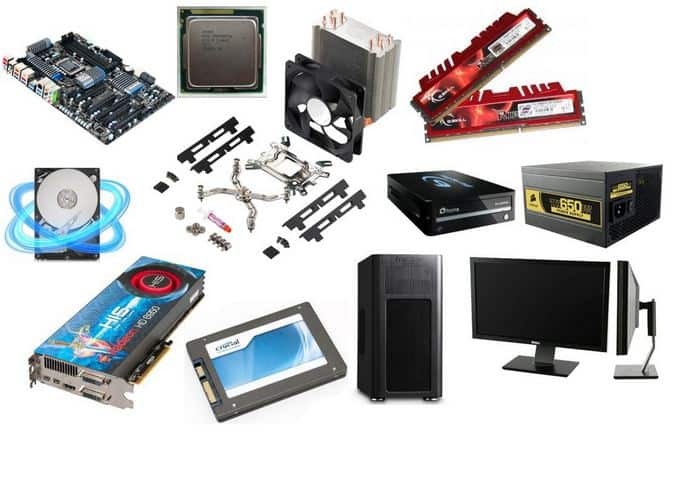 There are plenty of important things you should know before buying a new desktop PC Components. Like should we go for HDD or SDD and what is the difference? Lots of questions are revolving in our mind and that really put us in chaos. Here, we’ll guide you through some basic things that you should know when choosing your components. What’s the difference between Intel’s Pentium, Core, and Celeron CPUs? Celeron- Celeron is the low-end (and low cost) member of the Intel microprocessor series, has 2 cores, does not have enough power to run modern games at 1080p ultra or high frame rates. Celeron chips have less cache memory than Pentium 4 chips and Core series processors. Intel manufactures the Pentium 4 chips to run at a higher clock speed than Celeron chips. Pentium and Celeron follow the same architecture, but Celeron is lower in capacity. If you’re just a basic computer user and all you want to do is surf the internet, use email, use basic software like Word and other stuff, you would be fine with an Intel Celeron processor. It would be cheaper than going for a Pentium 4 processor. Pentium: This processor series is faster and provides good performance than Celeron. Pentium is not a replacement of Celeron, rather they are both made to fulfill the requirement of the market. Pentium supports overclocking and can run games at 1080p at 30-40fps depending upon the game and graphics card. The main difference between Celeron is clock speed, cache memory, and Bus speed. With a faster clock speed, more cache memory, and faster bus speeds, the Pentium 4 is the ideal choice if you need a fast processor for things like playing games or using demanding programs like video editing software. The latest models of this processor series are based on Haswell architecture. 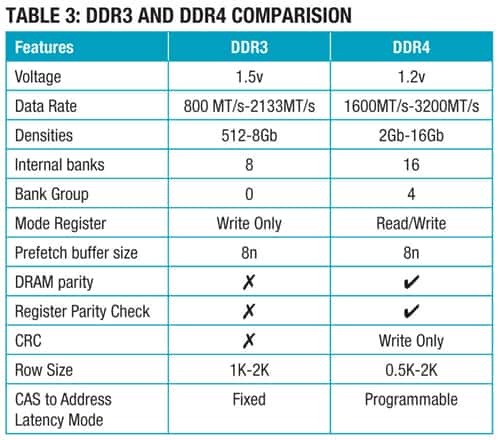 Here is a small comparison table, based on the architecture of these processors. We have provided specs for the current 2015 CPUs (Table 1). What to see in a motherboard before buying? 1. Socket Type: Please first determine which processor you are going to buy or you already have. Then ensure that which socket that processor it supports. Only two types of processor socket motherboards are available in the market. One is AMD’s and other is Intel’s. Look for a model with a socket type that matches your processor to ensure that the two are compatible. 2. Size: Motherboards generally come in three sizes: Mini ITX, Micro ATX, and full ATX. More advanced feature motherboard means the larger the motherboard and it also decides the size of you cabinet. 3. Number and Types of external Ports: Look at the ports available on the motherboard and how many 2.0 and 3.0 ports you need. 4. An amount of supported RAM: If your are planning for buying a motherboard for gaming purposes then you should look for a number of slots available in the Motherboard. 5. Graphics supports: Although now processors come with integrated graphics but if you need to play some high-end graphic games then look out how many graphics slots it has. 6. The number of SATA Ports: This determines how many internal hard drives and optical drives you can have. For most builds, this is only really a concern if you plan on having a lot of drives in your computer (like if you’re building a server or a NAS). 7. Number of PCI Slots: You can only have as many expansion cards as you have PCI slots, so if you want a dedicated video card (or two), extra USB ports, extra LAN ports, a Wi-Fi adapter, or other expansion cards, you need to make sure your motherboard has enough of them. 8. Chipset: This is a very important thing to look and determines how much-advanced features your motherboard has. Some chipsets support overclocking, some do not. Some support SLI and Crossfire (using multiple video cards in tandem), some do not. Others support SSD caching. SSD: Solid-State Drive or Solid-State Disk, SSD is a drive that stores information in microchips. It is like our memory stick and there are no moving parts to an SSD. The primary storage medium is through semiconductors rather than a magnetic media such as a hard drive. It comes in 2.5” size. HDD: A hard disk drive is a device used to permanently store and also retrieve information. It consists of one or more disc platters to which data is written using a magnetic head, all inside an air sealed container.Their sizes are generally 3.5” and 2.5” for desktop and laptop computers respectively. Both hard drives (HDDs) and solid-state drives (SSDs) are data storage devices, utilizing what is known as non-volatile memory (NVM). NVM is essentially long-term data storage, here is a comparison chart (Table 2). When to go for an SSD? There is no specific time to go for SSD, it all depends on your need and pocket. There is no doubt on the advantages SSD offer over the HDD but if you have PC with hard drives then you do not need to change all your drives. Just buy an SSD near about 250 GB and it will increase the performance and bootup time of your system. On another hand if you are planning to buy a new PC or laptop then you must go for SSDs. What’s the highest capacity available in SSD today? Generally the highest capacity available in SSD is 1 TB but recently SanDisk has launched its 4TB Optimus MAX SAS SSD which is now, the highest capacity 2.5-inch SSD drive available in the market. What are eMMCs? Which devices come with eMMCs? An eMMC is an extended version of MultiMediaCard (MMC) similar to an SD card soldered onto a motherboard. Just like SD cards they are very primitive, and usually built on low-quality flash to keep costs low. Like HDD and SSD, eMMC drive is not much sophisticated. The eMMC device also has a controller that makes the eMMC bootable. So, it can be used as a system drive inside cheap Android, Windows, and Chrome OS tablets and laptops. Just as SD cards, eMMC storage is much slower than more sophisticated SSDs. Devices that come with eMMC are typically portable electronic devices like cell phones, digital cameras, Tablets and Mini PCs. With increasing demand of low cost and small size devices, cheap tablets and laptops are also being built with eMMC drives. If we talk about the performance you probably want to look at the storage benchmark scores, but some eMMC devices are faster than others, it is due to the advances in hardware and new eMMC standards are making eMMC faster. However, if you’re a serious laptop user, you probably don’t want to be stuck with eMMC-based storage underlying your Windows laptop, even if it would save you some money. How many different types of RAM are there in computing devices? RAM is a memory to store information temporarily, improving your system’s performance. SD, DDR, DDR2, DDR3, and DDR4 are all different types of RAM (Random Access Memory). The processor also has its own memory known as the L2 cache, the cache lies between the processor and the RAM. The processor sends and retrieves data from this cache when this cache overflows data is sent to the RAM. There are mainly four types of RAM; SD, DDR, DDR2, DDR3, and DDR4. They differ in the way they operate and mainly in their operation speeds. Now a day’s DDR3 and DDR4 RAM’s are mostly used in our computing devices. All RAMs used in computers today have a synchronous interface meaning they wait for a clock signal before it can respond to clock signals. DDR SDRAM stands for double data rate synchronous dynamic random access memory. DDR RAM transfers data twice per clock cycle, hence the name double data rate. DDR clock speeds range between 200 MHz (DDR-200) and 400 MHz (DDR-400). DDR-200 transfers 1600 MB/s while DDR-400 transfers 3200 MB/s. DDR2 SDRAM stands for double data rate 2 synchronous dynamic random access memory.DDR2 is twice as fast as DDR which means twice as much data is carried to the module for each clock cycle. Also due to the design improvements DDR2 consumes less power as compared to the DDR memory. DDR2 speeds range between 400 MHz (DDR2-400) and 800 MHz (DDR2-800). DDR2-400 transfers 3200 MB/s. DDR2-800 transfers 6400 MB/s. DDR3 is twice as fast as DDR2 memories. Thus DDR3 speeds range between 800 MHz (DDR3-800) and 1600 MHz (DDR3-1600). DDR3-800 transfers 6400 MB/s; DDR3-1600 transfers 12800 MB/s. DDR4 SDRAM stands for double data rate fourth generation synchronous dynamic random-access memory, the latest variant of memory in computing. Again the big difference between DDR3 and DDR4 is speed. It also consumes less power than above all RAM’s including DDR3. The speed range between 1600MHz. The DDR4 SDRAM device is a new technology that improves upon the DDR3 SDRAM generation in terms of capacity, performance scalability, power efficiency. Where does India Stand in the Impact of Digital Technology on Businesses?